Did we miss a memo? Is this the week for developers to stealth release their games, seemingly out of nowhere? 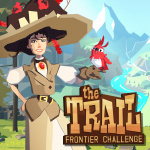 First there was Outlast: Bundle Of Terror and now here's 22Cans' The Trail: Frontier Challenge, right there on the eShop without warning or fanfare. "Join pioneers from across land and sea in an epic journey across an undiscovered country! Walk down the single track path of destiny at a calm and measured pace! Get out there and make your mark upon the world, adventurer! And you are not alone in your travels! Every person you meet on The Trail is another player who will trade with you at campfires located along the way. Walk down the single track path of destiny at a calm and measured pace! Get out there and make your mark upon the world, adventurer!" There are different professions to undertake, skill trees to customise and all sorts of rural landscapes to explore and conquer. It's also a port of the PC version, hence the added 'Frontier Challenge' subtitle. This game came out of nowhere. It looks good visually. I await more details and reviews. Edit: I didn't see the price mentioned above, it's £11.99. This looks interesting but I'll wait for the review. I do like these random, mid week game releases though. I hope they keep coming. It's kinda interesting. I played it on mobile. Not really much to do, to be honest. Good time waster though. Can anyone confirm what they say about the game is actually in it? Can never be too careful with ol' Pete. Whose money did he steal this time to make this one? According to an interview I watched, Molyneux basically doesn't want to repeat previous mistakes by building things up before release. This stealth release makes sense. I think he's actually done a lot of the code on this one. Hope it turns out alright. Would sell a ton if they titled it "Zelda: Breath of Wild: Beedle Edition". Oh, definitely interested. Awaiting a review. I might not even wait for the review! I like this trend of games out of the blue...keep it coming! 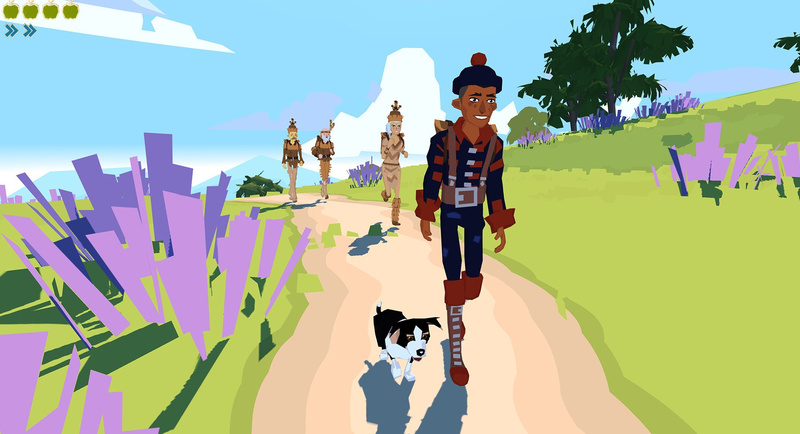 So is this basically an on rails Oregon Trail with very spiffy visuals? I remember playing this on the iPhone, was interesting but there wasn’t a lot of game to it. Peter Molyneux, eh? He's that guy from Larry Bundy Jr's Youtube channel. The art style has that charming Wind Waker touch to it. May definitely worth checking out. When I think of Peter Molyneux , I think of games like Populous and Powermonger. Not Fable and Black & White. I guess that shows my age. But my first thought like many here was Oregon Trail too. A linear BoTW where dying of dysentery is a distinct possibility ?!?!? Journey meets Oregon Trail? Well, why not. Peter Molyneux has disappointed me plenty of times in the past so I won't be supporting him, hopefully it's decent for whoever buys it. I don't get it? You walk down a single path at a leisurely pace? I anxiously await the review. Isn't this a mobile game? A free one? I didn't even know ol' Sir Molyneux was lying about another game recently. I kinda stopped paying attention to him. It makes me really want to play more BotW. Do how much did Peter Molyneux screw the pooch on this one? I'm definitely looking forward to reading about this. It sounds kind of cool from the brief description, but it could also be hopelessly dull. Interesting. Shall wait reviews on here. I’d like fable ported by the way. Been a while since I enjoyed that game and would double dip on Switch. "Take a stroll through the Ancient Forest..."
Wow Monster Hunter has a blunt naming convention. Still rather be playing that than this ugly indie game tho. It looks like it's been put through the VR wringer, but all they're doing is rendering character models. @rjejr Watch out, Beedle's about! Hey hey! Good news, I'd been meaning to check this out! I don't see this game anywhere on the eshop. I had this game on mobile. Back then it was alright and decent enough to put in a couple of dollars as a thanks to the devs. That said, the need for premium currency does overtake the game's fun and eventually I stopped. I've heard of the PC version but the fact that I would have to be grounded to one location to play didn't make a compelling enough argument for me to buy it. @samuelvictor Anyone who buys this after the travesty that is Godus is a fool. @Grawlog LOLZ. Trolls: Nintendo always left out on ports and 3rd Party. ALSO TROLLS: Ninendo is crap for getting all these ports and 3rd party! @onery Make a UK account, grab the game, then play with your NA account. It's surprisingly easy.